Is it weird to feel connected to a person you have never met, and who uses a fake name? Of course it’s weird. Connection in blogger world is not all that different than the real world. It usually comes when two people come together and share each other’s stories. They identifying with either each other’s laughter or their pain and as they walk along this path of life, they support the one who they now call friend. It is the way friendships have always been built and thus trust is formed between strangers. In real life I gravitate toward people who are not to wordy. You know those people who in conversation are continually waiting for you to stop talking so they can talk? Those types of people I tend to keep a distance from. There are times when I am around such a talker, I will smile and listen, but in my mind I am saying to myself, do not say a word, not a single word in response, for if you do, that will send the talker down another rabbit trail and you will be here forever. It is the same for me in blogger world. I gravitate toward bloggers, who know what they have to say and can say it concisely. My preference, I want them to say their peace in or around 500 and at the outside 1000 words. I know that makes me sound a bit ridged; I guess that is because maybe I am rigid. If a blogger touches me with their humanness in those few words, I will likely hang around. In my rigidness I have one more requirement. A fellow blogger must be willing to now and then come by Grayquill world and read my 500 to 1000 words and make a comment. Call me rude and selfish but it seems to me that is common blogger etiquette and respect. When a connection has been formed with a blogger, we then consider them blogger buddies. So when the blogger buddy bows out of blogger world, it is a loss of a buddy. Sure we want to minimize the impact of these losses with logical thoughts like, ‘I don’t even know this person.’ In a sense that is a true statement, after all we only know what we have been told by our blogger friends – it could all be a lie. For sure, we do not know the whole truth. Heck, all one has to do is look at Grayquill’s blog and my own blogging tactics. I only share what makes me look good, right? If you read the comments in my post, you will know right off that blogger buddies are much nicer than those in the real world. I think that is partly because there is no real responsibility with a blogger friend. The worse offense we can commit toward each other is to read their post and not leave a comment. Sure, we could leave a rude comment, but most of us humans have basic human relationship skills and know not to do that. All this said, Arkansas Patti has chosen to bow out for a time. She will be missed! She seemed to me to be as human and flawed as the rest of us, which allowed me to identify with her and her journey. I feel at some level I learned to know her – thus a connection. Patti you will be missed. Your writing is always down to earth, and felt real – thank you for the many enjoyable reads. Since my last post much has transpired, I bought a different car. When I was young, I attended a technical school to become a car mechanic. Because of that schooling, I think I know things and that I think might be a problem. Thinking you know things when you actually don’t know things does not make you know things. And, taking action on things, you think you know, when you actually don’t know things, can lead to learning things you thought you already knew but really didn’t, and that doesn’t always mean you will actually learn things that you thought you knew but didn’t. By the way, I bought this car without having a real mechanic inspect it – why should I? I know things. Are you keeping up? The number one cylinder was not firing clean but I had the compression checked so I figured a tune up would fix my problem. Well I bought the car and gave it a tune up. Yip, you guessed it, the tune up did not fix the problem. That was not really a problem for me because I know things. I was able to figure out my new old car had a vacuum leak at the number one cylinder. I could fix it myself for $23.00 (the cost of the gasket). This repair is a bit of work, so I got a price from a real mechanic, and the price was $400.00. The big mechanic book that real mechanics have, says it should take 4 hours to make this repair. So, here is the deal; there should be another book for guys who think they know stuff about fixing cars. This book should say in big bold letters on the front, ‘If you try to do any repair listed in this book, you are dreaming, if you think you can do said repair close to the suggested time. Rule of thumb for guys who think they know stuff: take the suggested time and multiply it by two and if your initials are GQ multiply by four or maybe six. In the past when the book said four hours I would double the time and I figured that would be about the time it would take me to do the repair. Now, that I am older and actually do know things. I know it will take me more than likely 3 times what the book says – no I am not in denial. Can we talk Grayquill logic for a minute? If I spend $400.00 dollars to get my new old car fixed, I must remember that $400.00 is after tax dollars. So, I will have to earn maybe $500.00 to pay that $400.00 bill. So, if I fix the car myself it is $500.00 I am saving not $400.00. Now I am more motivated. See how that works? In buying the car and thinking I know stuff, I did not take the car to a real mechanic for an inspection. Yip, there was another problem that I did not catch. But heck, it was only a $36.00 dollar part and the book called for only 1 hour to repair. And so I went right at it. As par for the course I had it repaired in two hours, a bit better than my average. I am all smiles. Oh, that’s right I had a small problem. The repair I did was replacing the electric fan. To get the old fan out I had to remove a transmission cooling line. That was not the problem. The problem came into play during reassembly. Somehow I neglected to reconnect the transmission cooling line. Oops! Naturally I wanted to see if the new fan would click on when the motor got warm. So, that meant starting the motor and letting things get nice and warm, which of course I did. I have no idea what I did for the next ten minutes but the fan was not coming on so I decided to take the car for a drive and put a load on the motor – totally logical. I walked around to the driver’s side of the car and what did I find but a large volume of transmission fluid coming out from under my car that stretched from the front tire all the way to the back tire – Yikes! This could have upset me, but being the positive guy I am and fully understanding the principle that, ‘troubles are nothing more than brilliantly disguised opportunities.’ I decided it was a great opportunity to change the transmission fluid, which of course I did. The book says fifteen minutes. I will let you do the actual calculations for Grayquill time on this one. I will only say this…I started at 9:00 in the morning on the original one hour project (book time) and finished 11 hours later. Just think of the money I saved. I have to decide before Saturday if I am going to take on the four project, surely the law of averages are now in my favor; don’t you think? Anybody want to hire Grayquill to do some side work on their car? He works cheap. It has bothered me for sometime that hair grows out of my ears in the oddest places. This oddity has caused me an inordinate amount of wasted time. Yesterday with clippers in hand, I noticed my ears seem bigger than ever before, and I guess maybe it could be true. Somewhere I read that ears never stop growing…one study I read stated that our ears grow about 100th of an inch per year. I think this study must be factual because I have often been mesmerized by the size of old people’s ears. If you think I have it wrong and don’t believe me take a peek the next time you see an old person. Let me pass some logic on that could make this ear growth phenomena more flappable. As we get older our hearing declines, if a greater mass is available to ensnare sound vibrations, it would help us hear better in our old age. I can only assume God had this in mind when this feature was installed on His earliest models. After all, they lived a whole lot longer than we do today. Hearing aids had not been invented, so the need to keep those old guys hearing would have been real challenge. If we think about this a minute, we can see this left God in a bit of a quandary. He had to design the ear with a growth rate that would keep up with the hearing loss but not exceed one’s ability to hold his chin up. Something else to consider…. 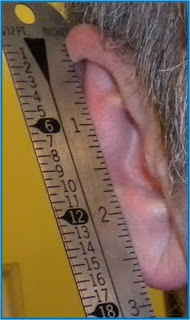 If an average ear is say 16 -17 picas (2.5 inches long) and the Bible states Methuselah lived to be 965 years old. That would make old Methuselah’s ears pretty gosh darn big… 2.5 inches + 9.65 inches would = 12.15 inches. Wow that’s a big set of flappers. Noah apparently would have also had his own big ear bragging rights. He lived to be 950 years old. It all seems kind of creepy thinking about ears that big. After all wouldn’t they begin to get in the way? Imagine there is Noah building the ark and he leans low to see that nail and whacks himself right in the ear lobe with his hammer. Hmmm…maybe that is where the idea of pierced ears came from. And take the hunter with nine inch long ears. He pulls the bow string back, a tangle ensues and then came the release –OUCH! That had to hurt! Now when we think of Adam’s ears, the calculations would be impossible. The bible doesn’t really say how old Adam was when sin entered the world and he had to leave the garden. What if Adam and Eve lived a couple of thousand years before committing that first sin. His ears could have been dragging in the dirt by the time he left the garden. Now I am not saying that’s the way it was but it is something to think about. I hope you all got an earful. Heading up I-5, my windshield wipers worked steadily matching pace with the Seattle rain. So, I mustered up my courage, manned up, and immediately caved in by saying, “That’s a good idea, why don’t you pray,” and she did, right then and out loud. I kept my eyes open – I was driving. The family silently prayed along with her but my prayer lacked even the smallest amount of faith. In fact there is a better than average chance I didn’t pray at all. It is more likely I was thinking, what a horrible idea, to be praying about the rain, this is stupid, and on so many levels. First off, God will not answer a prayer to stop the rain! He just doesn’t do things like that. 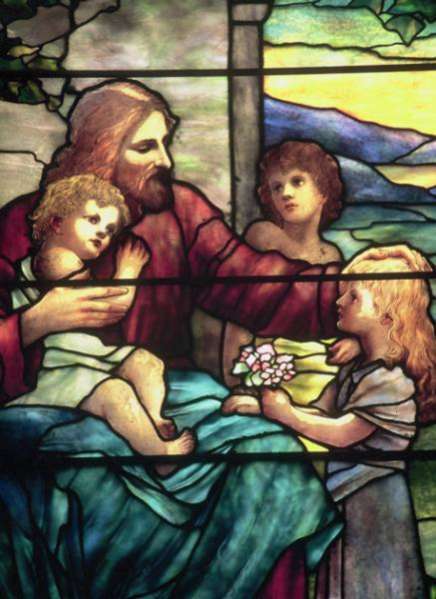 I guess I never read the story of Jesus asleep in the boat during the storm, hmmm…. I knew it was ridiculous to pray about the rain – oh sure some super Christian out there is tut tutting me and quoting the scripture, “don’t worry about anything but everything by prayer and supplication let your requests be known to God and the peace that passes all understanding will keep your hearts and mind stayed on thee. Well super Christian you are right about one thing – I had no peace. Well, my daughter prayed and the rain intensity seemed to increase - Of course it did, why wouldn’t it? For the next twenty miles the rain was steady. Off the freeway across the trestle we went. Now we were on Hwy 9 and nothing more was said about the rain for the rest of the trip. Twenty minutes later we pulled into the drive way of my sister’s house and the rain stopped as I drove up the drive way. The kids played outside all day with no rain. When it came time to head home late that evening, we loaded up and started down the driveway. As soon as my front wheels hit the pavement the rain started up. All the way home it rained steady. I wondered quietly, and did not say a word. You see the Father was talking to me about faith. Did God stop the rain? Of course he did. Don’t ask me why He stopped the rain that day for a small little girl, and other times He chooses not to answer our prayers. I know, I know… He always answers, just sometimes it’s, “no.” It sure does seem he says “no” a lot. I asked the Father to explain and he reminded me that He is not accustomed to explaining himself. I guess his whys have something to do with that thing called faith. Is there a lesson here? I suppose there is but this is one of those times you will have to ask the Father for the lesson. 12:01 am, the goal set by my son in law. It sounded like fun but I also knew it could be a time of frustration; not being able to see, or at least see well enough. I had shortened up our leaders in the hope tangled lines would be minimized. 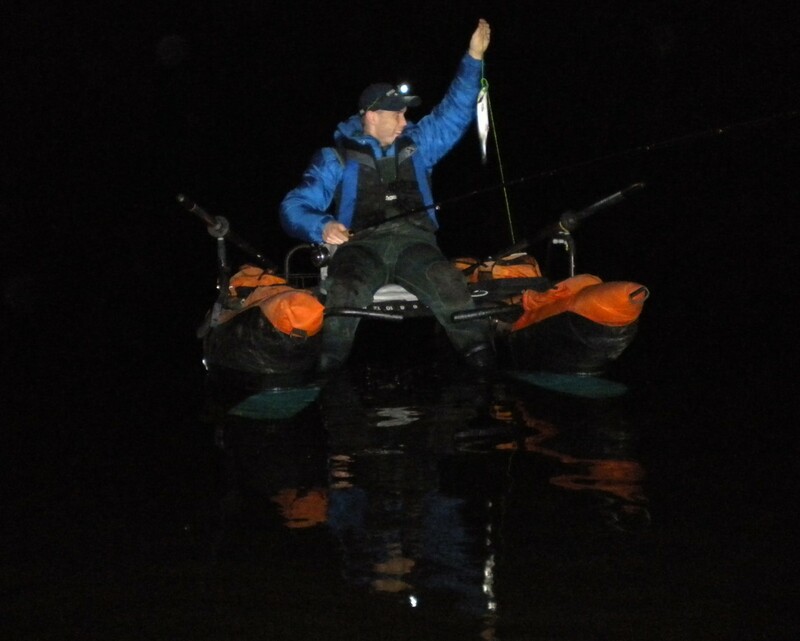 Everything was now unloaded and the darkness made the cold seem extra cold as we slipped into our waders and donned our life jackets. The three quarter moon remained hidden by the rain clouds that had been giving us on and off light rain throughout the evening. With head lamps glowing and fins firmly tightened, the water eased up around me as I backed into the darkness. The water lightly lapped against the side of my float tube as my fins propelled me away from shore. I flipped off my head lamp and now in almost total darkness began letting out the line a pull at a time. Lights here and there around the lake, gave us our bearings and I took note of the depression in the silhouetted tree line against the black sky as to where we had parked the truck. I had set KevQuill up with a full sink line and a green bead-headed Wooly Bugger. The lake was a typical stocked lake for bait tossers, 12,000 rainbows and 2,700 triploids, all placed in a 111 acre lake. The stocking report said it had happened earlier in the month but no exact date had been given. I purposefully did not give KevQuill a net, knowing it would be one more place where tangles would cause frustration. Besides stocked fish are hardly fish at all, undernourished and shocked from the stocking pens. I knew the fish caught would release easily because of the barbless hooks and of their weakened condition. The words, “I just don’t get skunked anymore,” began ringing, getting louder and louder in my ears as the minutes began to stack up. Two hours had gone by and not a fish. Occasionally I could hear a splash nearby from a fishing jumping. The moonlight occasionally would pop out behind the clouds, and the moonlight shimmered kissing the tips of the ripples made by the light wind. A soft rain had been sprinkling around us for the last hour but our rain coats were shedding it easily. The circulation being not quite as good as it used to be had been sending a message from my now numb toes, that a thermos of hot coffee was only a few hundred yards away. My bladder had also been requesting attention for the last 30 minutes. I started kicking slowly against the wind back to my truck – fishless btw. What was that? Something bumped my leg… It was probably a water logged stick. Regardless, it was a bit unnerving. There was no repeat but imaginations run wild in the dark. I soon felt a light strike as the hit magnified its message down the shaft for my pole. Sadly, I had missed another fish by not paying attention. I had been trying to decipher if my course back to the truck was on track. One of the troublesome parts about fishing in the dark is that, it’s dark, and you are never really quiet sure where you are or what exactly is happening around you. I had lost track of my son in law in the darkness. The lake was not that big, so I figured he was not that far away. Steadily my fins moved me back up the lake at a slow troll. I had changed it up and was now dragging three flies, a black Wooly Bugger #8, brown Wooly Bugger #10, and green scud #14. I had had a couple soft hits but was concerned my sinking tip was not getting the flies deep enough. I had moved from deeper water back into shallower water several times but nothing. I had thought several times of switching lines but doing that in the dark was a thought I did not relish. My almost old eyes have a hard enough time doing that function in bright sun light. This was another reason to head for dry land. I pulled up the line and added a cheater weight above my flies and dropped it back into the blackness. Immediately a solid hit but I missed it. About then out of the darkness from across the water I heard, “Grayquill, I got one.” I headed that way in hopes of getting a picture. From that point on it was steady fish catching for the both of us for the next hour. As typical in Washington, often our sunrises are not seen, they happen above a layer of rain clouds. So, as the sky lightened and turned from black to gray, we ended our night on the lake. We had both missed more fish than we released but it was a great time. I think KevQuill might have even caught the fishing bug. My pride was still intact knowing fish had been caught – Thank you Lord, and the Washington Fish and Game Department. I wonder if the airlines will understand the uptick in their profit margin I am providing for them today with my 23 pound weight loss. It is no small thing to lessen the load for 3,115 miles of travel by 23 pounds. That has to be a considerable net bonanza of unrealized savings. If you and I were smart people, and if we had a little data, and of course if you had remembered your slide rule, I am pretty sure we could figure out the exact increase the fuel savings brought to their bottom line. Let’s just try it…. 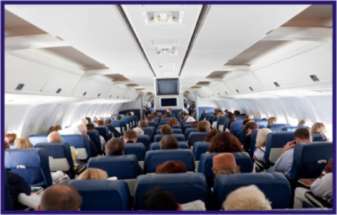 735,000 pounds (The weight of the plane) + passengers and cargo weight minus 23 pounds, times the horsepower, divide by 10,000 RPM’s, times 4 jet motors, times gallons of fuel burned per hour, plus head winds of 15 miles per hour for x minutes, hmmm…I guess even with your slide rule it is beyond our calculating and proper formula abilities – But my rough estimate of savings is 1 gallon of jet fuel. Hmmm…that doesn’t sound that great considering our world uses 84 million barrels of oil per day worldwide – Sorry Delta, I tried to help! Hmmm…firm and direct but kind - I guess that is a no! Opps, her left arm just tucked into her side, her feet shuffled, that sigh, what does that mean? I guess she’s back to defense position #1. I notice she is onto a new chapter in her reading. The heading at the top of the page is as before, ‘Shattered,’ that must be the name of the book and not a chapter heading. A mystery….what has been shattered or who has been shattered. I certanily will not be asking her, who or what has been shattered! I guess I will have to buy the book if I really want to know. She seems very into it; maybe the book is just that good. I guess this all sounds a bit creepy, me noting the stranger to my right and all her non-verbal’s. In defense of my own creepiness, I have heard only 7% of all communication is verbal, so just because I am writing and making note of her non-verbals – I know a secret everyone has these thoughts. Now don’t start thinking, “I don’t,” because that would just be a lie. Well maybe next time I will tell you about the other people around me. What is the lesson here? Not really a lesson but you might want to recognize that your non-verbals are screaming reams of information to those in the room. If you are aware of your non-verbals and it is intentional because of the creepy old guy sitting next to you – They are working.